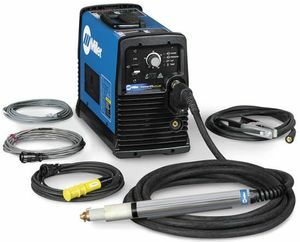 This Miller Spectrum® 875 plasma cutter is designed specifically for automated plasma cutting with a CNC interface. CNC/Automation package comes complete with everything you need to hook the 875 up to your computerized cutting table. Choose from a long body or short body machine torch. Both torches fit easily into your 180 degree straight torch holder. 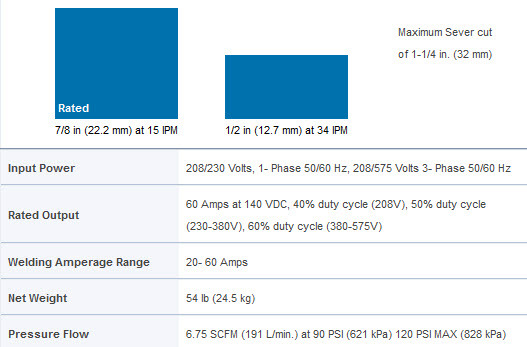 Ultra-Quick Connect™ 25 ft. XT60M torch for automated/mechanized plasma applications. can you swap to a hand torch or is this machine torch only machine? I would like to know if you have this machine in stock. Thank you. We currently are out of stock of the Miller Spectrum 875 Auto-Line Plasma Cutter w/Machine Torch 907584002.